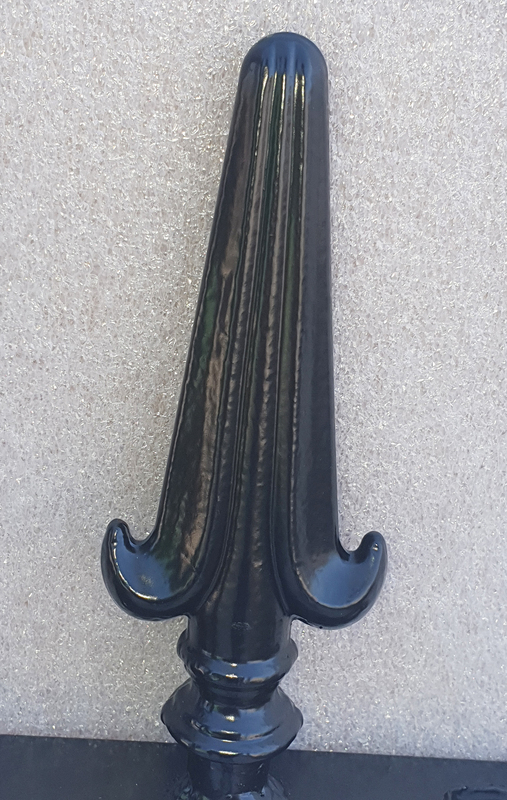 The Bergman has a gently curved and flicked up detail which rises up to finish with a gently rounded point as shown in our photo below. 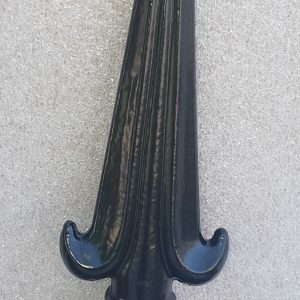 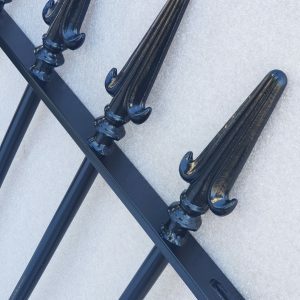 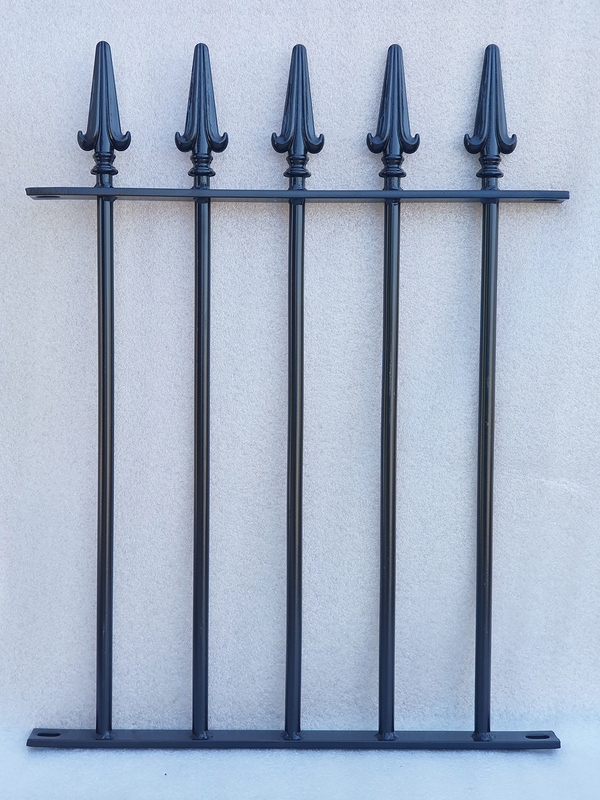 Our wrought iron railings are finished in a black satin powder coating as standard or why not upgrade to our top specification hot dip galvanized and powder coated option for a maintenance free finish. 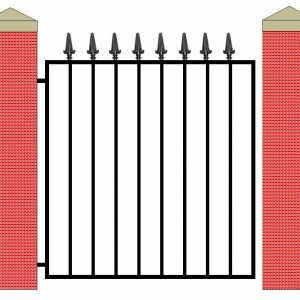 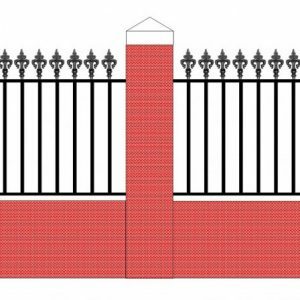 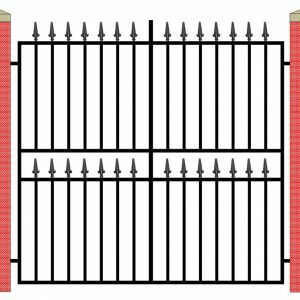 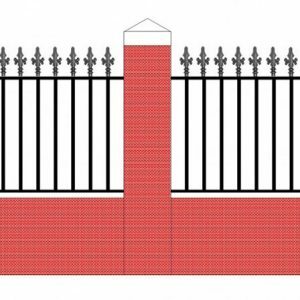 This product matches our Bergman Single Gate and Bergman Double Gates. 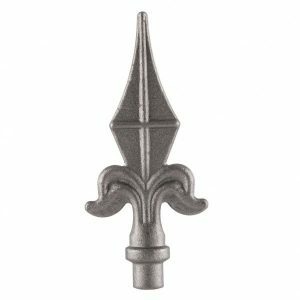 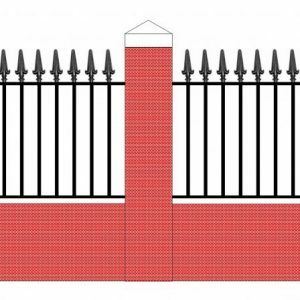 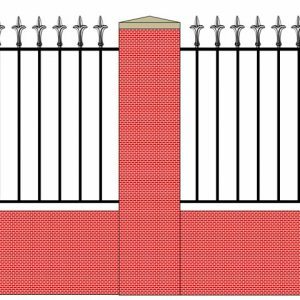 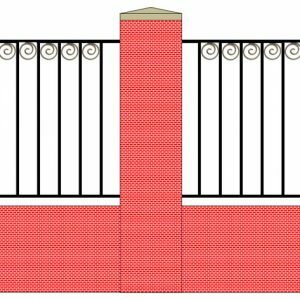 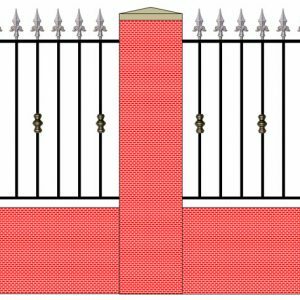 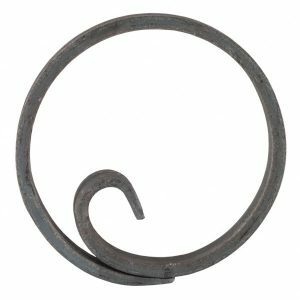 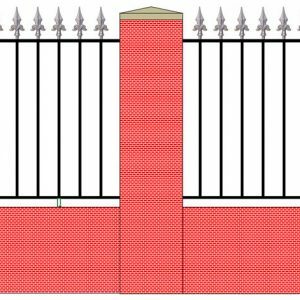 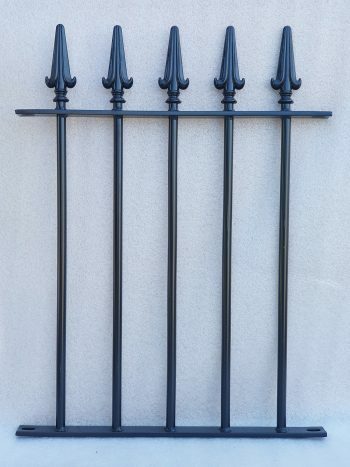 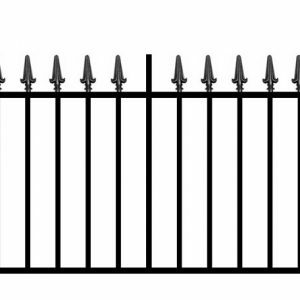 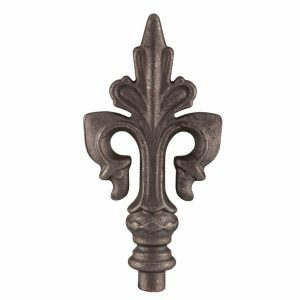 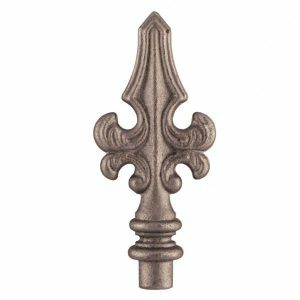 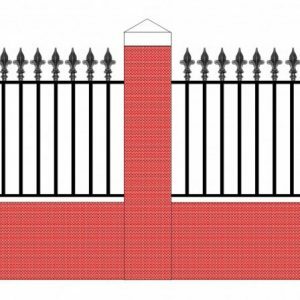 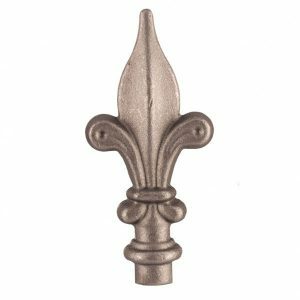 Our wrought iron railings are made to order using 20mm solid round vertical steel bars spaced at 100mm (4”) intervals and 40mm x 10mm flat bar horizontal top and bottom rails. 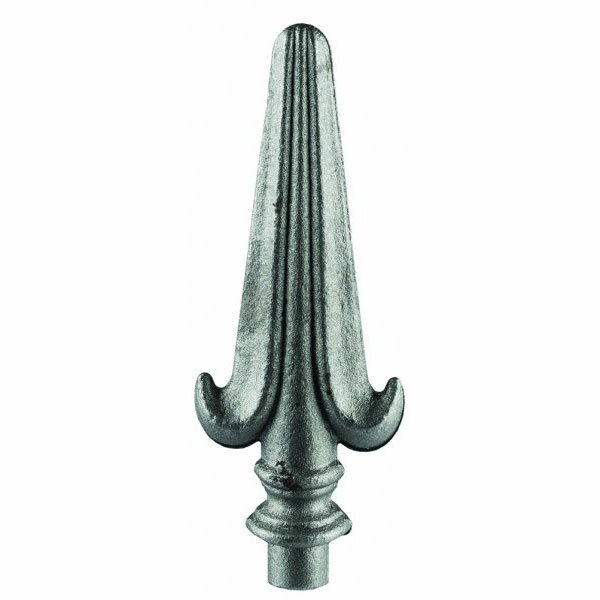 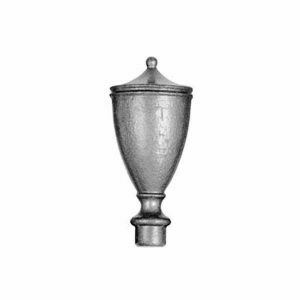 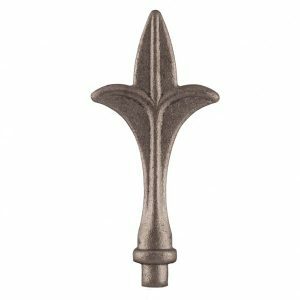 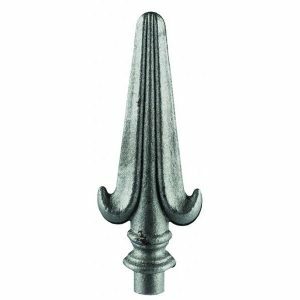 The railhead measures 180mm high and is set on a 20mm round base. 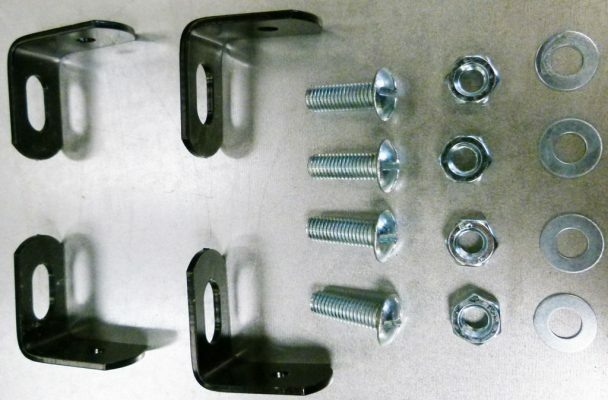 Also included free of charge is a fixing kit comprising nuts, bolts, washers and brackets required to bolt your railing panels in place (not supplied are bolts/screws necessary for installing ironworks to your specific brickwork/masonry/woodwork). 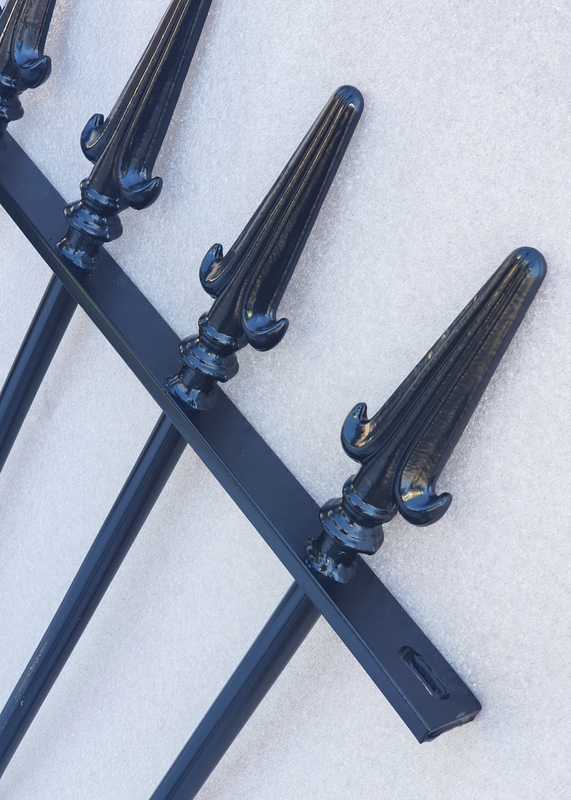 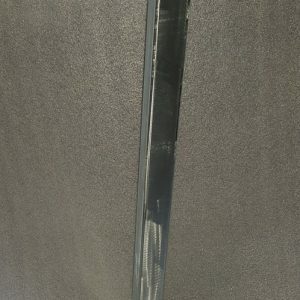 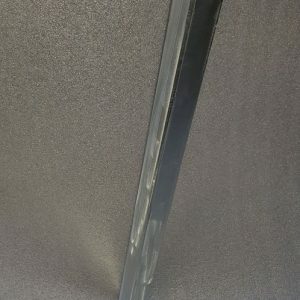 Please note that bolts supplied for fixing railing panels together will be silver coloured. 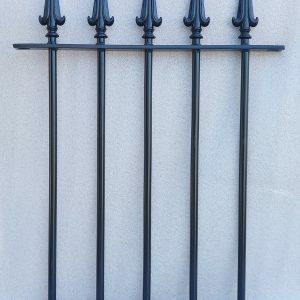 We do not powder coat them as this interferes with the thread. However, you can paint the bolt heads after fitting if you prefer an all black finish.